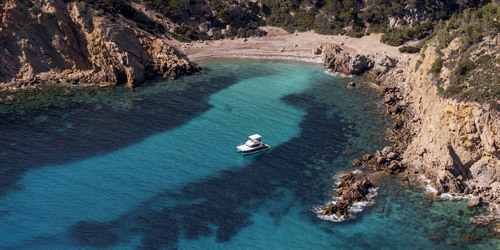 The strong family ethos that underpins the operation of Fountaine Pajot also extends to our owners. We regard every one of our owners as part of the Fountaine Pajot family, and our Customer Service team is passionate about ensuring the ongoing satisfaction of every single person who purchases one of our sailing catamarans or motor yachts. Liaising closely with the shipyard, our dealer network and our trusted suppliers, the Customer Service team is always on hand to respond to the technical or sales-related enquiries of our 300-plus owners so they always enjoy carefree cruising adventures. Fountaine Pajot is committed to ensuring the safety and satisfaction of our owners when they are at sea. 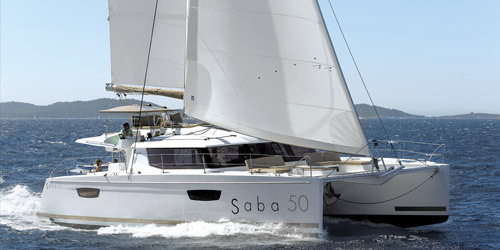 All of our policies are designed around exceeding the expectations of all our clients by providing sailing catamarans and motor yachts that are constructed to the very highest quality. To achieve this goal, we are dedicated to constantly improving our products and services and striving for the highest levels of technical skill. Through continual research and development, we ensure every new model employs the latest in products and industry innovation. 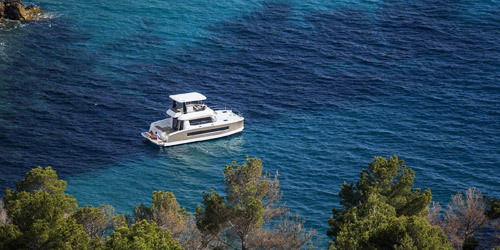 Protecting the environment is one of Fountaine Pajot’s shipyard key priorities, and our manufacturing products and processes are designed to not only be of the highest quality but also eco-friendly. Our company adheres to strict recycling and disposal processes in all facets of operation. 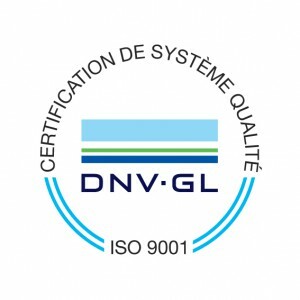 Our quality management system has just been re-certified by DNV-GL, to ISO 9001 standard. This certification covers our 3 sites (AIGREFEUILLE, LA ROCHELLE and is coming into operation in Les Minimes), and covers the full scope of our activities : design and manufacture of leisure boat catamarans (sailboat and motor yachts). Our company has been certified since July 1991.